Fiery food lovers, rejoice! 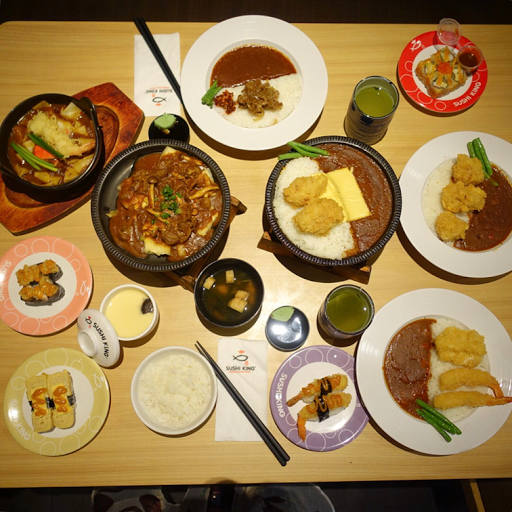 It's time to excite your taste buds as Malaysia’s all-time favourite Japanese restaurant, Sushi King brings you an exclusive Japanese curry menu themed “Curry with a Kick!”, available only for a limited time. From 1st April till 30 June 2017, it's all about Japanese curry with 11 exceptional dishes to choose from, each dish distinctively extraordinary in their own way to be enjoyed. 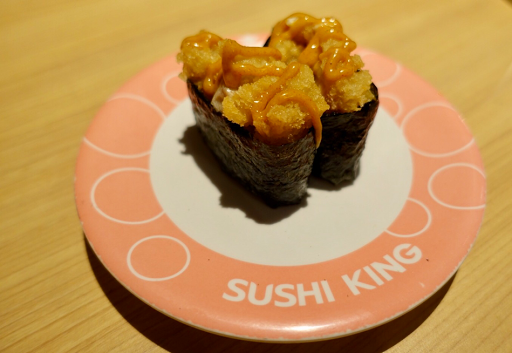 Be prepared to take on the heat as Sushi King whipped up two exciting flavours of curry that are perfect even for the toughest and most seasoned ‘fiery-food-lover'. The best part is, diners could personalise their curry dishes by selecting their preferred sauce, Curry, Tomato Curry or Spicy Curry and pairing it off with Chicken Katsu, Seafood Fry or Yakiniku. Also, don't miss out on the special desserts to cool down your curry venture. 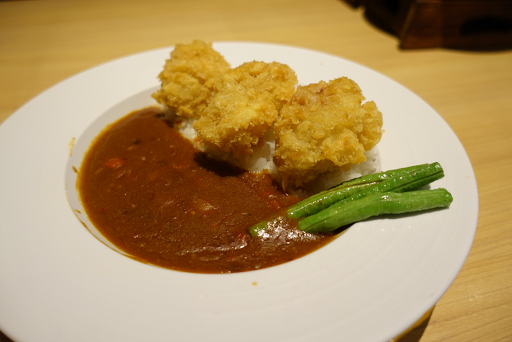 Crisp and succulent deep-fried chicken served with long beans, rice and tangy tomato curry. 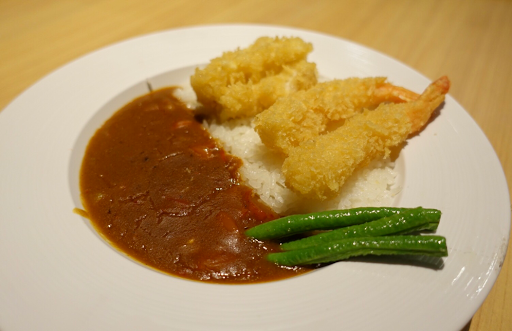 Deep-fried fish, prawns served with long beans, rice and tomato curry. 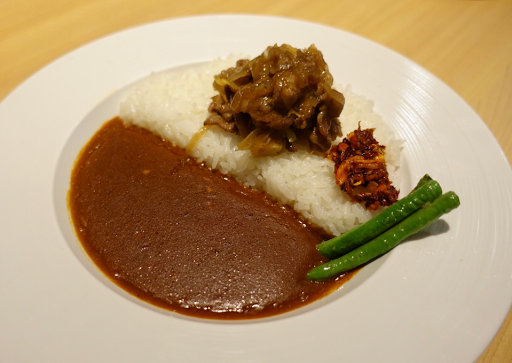 If you like the sweetness of Japanese curry, you will love this tomato curry. 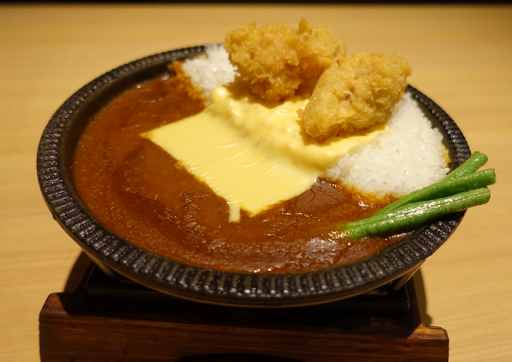 Deep-fried chicken served with long beans, rice, cheese and curry. 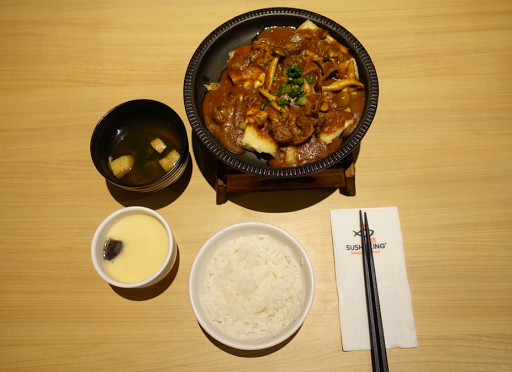 Fried silky beancurd served with pan-fried tender beef, mushrooms and cheese in curry. 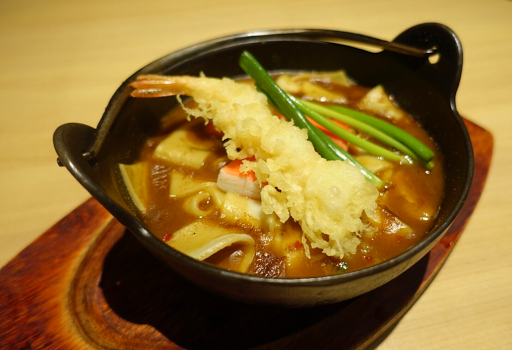 Flat udon topped with tempura prawn and crabstick in curry. Ultimate satisfaction, love the udon silky smooth and chewy texture. 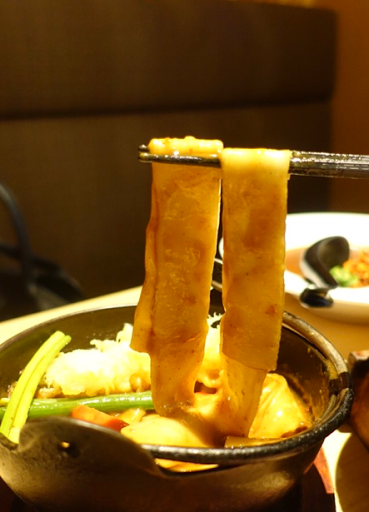 Did you know flat udon is a specialty of Gunma Prefecture, one of Japan's leading wheat producers? Thus, it is a must eat in the area of Kiryu. Flame-grilled egg topped with cheese and curry mayonnaise. A perfect combination of delicate egg sweetness and mild curry flavour. 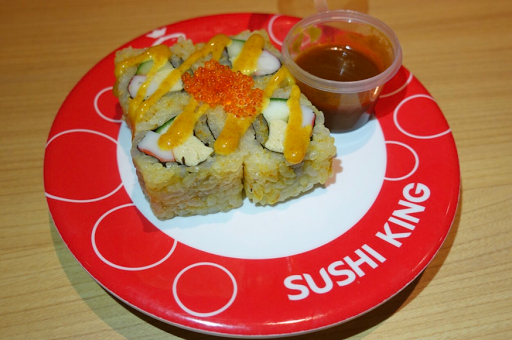 Crabstick, cucumber, egg and flying fish roe with curry piri-piri sauce. Simply addictive! 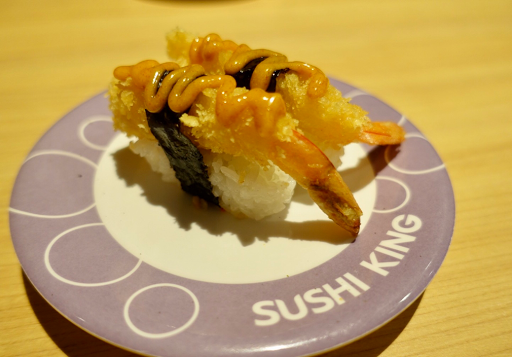 Deep-fried succulent prawn drizzled with curry mayonnaise. Deep-fried chicken with curry mayonnaise. 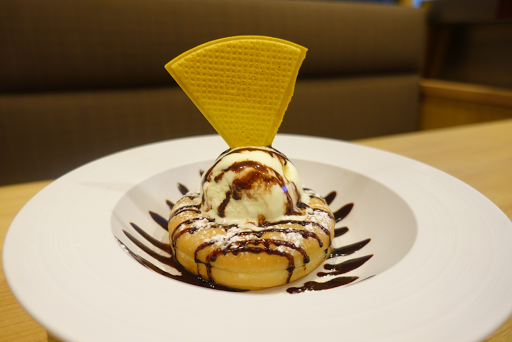 Doughnut topped with vanilla ice-cream. 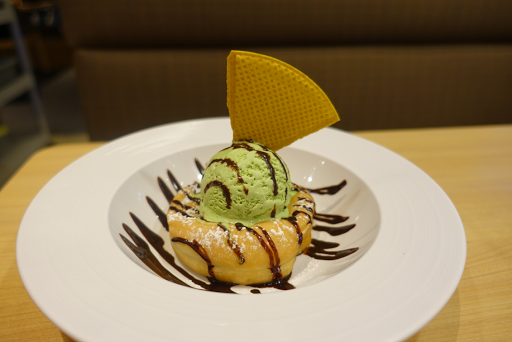 Doughnut topped with green tea ice-cream. 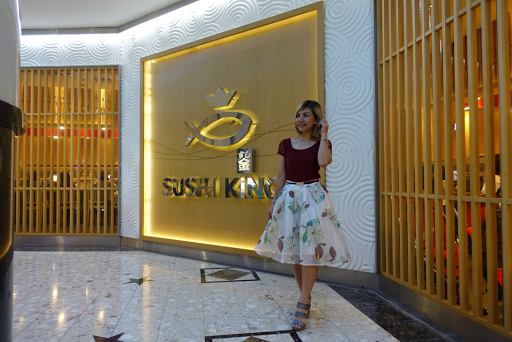 In conjunction with the promotion, Sushi King is challenging Malaysian with the “Curry-Hot-Kick” Challenge. Upload your most creative ‘hot kick’ expressions to Sushi King Facebook with the hashtag #MySKCurry to stand a chance to win an exclusive Collectible T-Shirt from Sushi King. 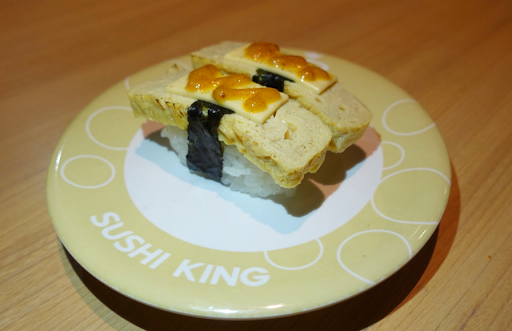 For more information, please log on to www.facebook.com/sushikingasia.